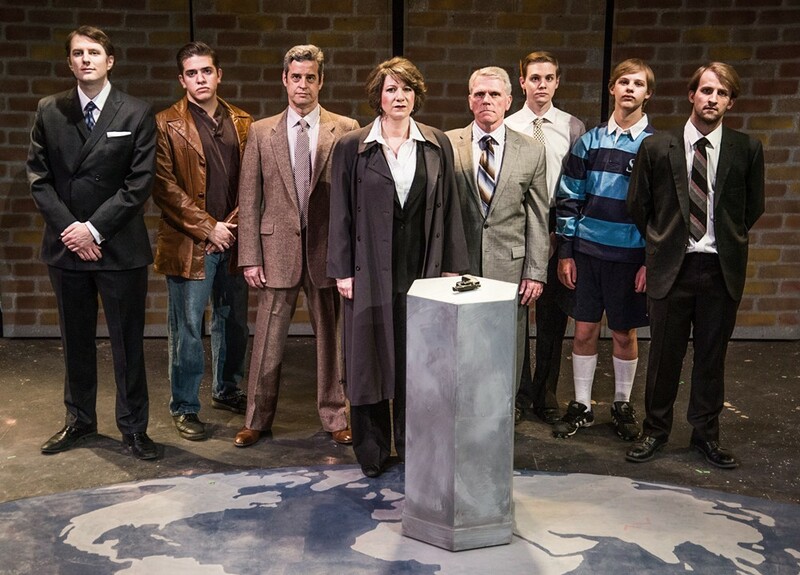 Hapgood plays at the Spokane Civic Thursday-Sunday this week. Hopefully you survived the March Madness invasion of Spokane (and its traffic) and are ready to embrace spring. Yes, it's spring! Officially! So check out our event listings and Staff Picks and get out and celebrate. WORDS | Gonzaga is hosting honey bee expert May Barenbaum for its 30th annual O'Leary Lecture, where she will discuss “Apis-Pocalypse Now: Can Science Save the Honey Bee?” It's free and open to the public. COMMUNITY | The judicial system is a mystery for most of us, but the League of Women Voters is here to help, hosting a Judicial Forum where you can hear from local judges about how the system works, how it's supposed to work, and what judges do that we never think about. HEALTH & WELLNESS | Everyone wants to live healthy, but we're bombarded with different messages about how to do that. Enter the Mindful Eating Seminar, a series of free seminars offered at the WSU Riverpoint Campus starting tonight at 6:30 pm. THEATER | The Spokane Civic Theater has an intriguing play focused on international espionage and chicanery going right now. Hapgood plays Thursday through Sunday this weekend. FOOD & DRINK | Roast House Coffee is hosting a Pour Over Competition that also serves as a celebration of its new San Ysidro coffee from Guatemala. There will also be beer and food on hand. THEATER | The INB Performing Arts Center hosts Broadway musical 42nd Street, a long-time fave that's playing through the weekend. COMMUNITY | The Northwest Alliance for a Responsible Media is hosting a community discussion at its Media Literacy Salon, this time addressing racism and the media. It's at 5:30 pm at the Community Building. SPORTS & OUTDOORS | Hey! It's Free State Park Day again! Get outside and take advantage of your free access to some of the area's beautiful places!